ITS ONLY days left before the annual ‘Africa's Richest Race Day’ SunMet celebrated with G.H. Mumm bolts off again at the Kenilworth Racecourse, Cape Town on January 26 2019. The 2019 SunMet’s theme will be different, so will be the horses and their jockey’s. 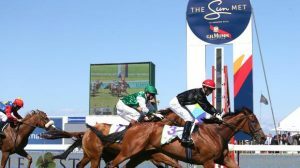 It bolts off at the Kenilworth race horse on Jan 26. With prize money worth over R20-million, this perfectly fits the ‘Africa Richest Race Day’ tag. Yes, I gave it away although some of you might not have heard- the infamous Maison Mumm’s Chief Entertainment Officer, Usain Bolt will grace this prestigious gathering once again. If it happens yours truly is allowed to attend a media brief, surely I will ask a simple question: why not marry a South African? This year’s theme according to SunMet organisers ‘African Luxury: Precious Metals’ would allow fashionistas to transform the race precinct into the most glittering runway, adorned with gold, copper, and platinum colours and textures. South Africa’s rich mineral resources are the inspiration for a very elegant, high voltage, glamorous direction for the race day. 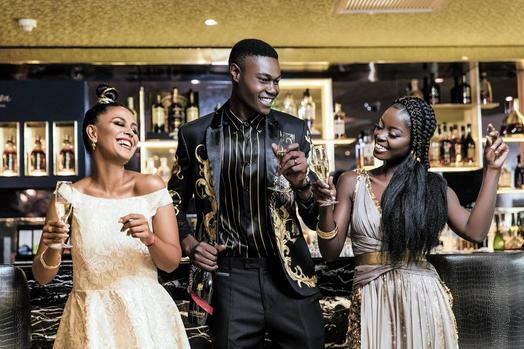 ‘Dresses cut and draped in liquid metallics together with high octane metallic tailored suits that will glisten in the African Sun’. The gathering brings the well- heeled and ordinary folks who are horse fundis from all walks of life. South Africa’s rich mineral resources used as this years’ theme: gold, copper and platinum colours and textures. “The fashion, the entertainment and, of course, the horse-racing will fuse into a glamorous day at the races. We’re really striving to make the 2019 Sun Met bigger and better with more people, more hospitality and more unforgettable entertainment. Watch this space!” commented Rob Collins- Sun International Group Chief Strategy & Operations Officer. Pre and post the event millions of rands will katchiiing in the kitty of the Western Cape and improve its GDP- that would also go a long way resolving the water crisis…or kanjani? Mi Casa, Lira and Soweto String Quartet will provide entertainment in The Glenlivet marquee, whereas Tembisa born DJ Shimza, Da Capo and others will set the venue ablaze on the decks until late. Tickets available from R150.00 to R5169.00 at TicketPro outlets.